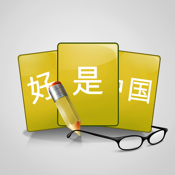 The Lite version of our Intelligent Flashcards: HSK Chinese. FREE OFFER TO TEACHERS OF CHINESE: We can customize our app with your vocabulary exclusively for your students. Depending on your circumstances, we can do the customization work FOR FREE. If you would like to find out more, please contact us directly: enquiries@purplepanda.com.au.